We live in a tech-infused world, where IT and Communications follow us every step of the way. At times, we are so immersed in our technological-driven existence that the very thought of a world where smartphones, the internet, or computers don’t exist scares us down to our very bones. In a background like this, it only makes sense that the tech and IT sector booms with prosperity and innovation. In 2018, it was a tech magnate that launched a rocket into space in the most epic way there is - and some even say that the future of space exploration itself lies not in the hands of governmental agencies (i.e. NASA), but in the hands of tech giants willing to invest in it. In a world dominated by IT and tech, IT outsourcing companies would make big money - it’s still not as big as oil or older, heavier industries, but given that most of them are based on finite resources and programming isn’t, it’s only fair to assume that it’s a matter of time until the latter surpasses the first. There’s a pretty bumpy road ahead, but if the IT industry shows the same strength and determination as it did thus far, it’s bound to take over the global economy. This chapter aims to shed some light into some of the most popular IT outsourcing companies in the world, what they did to reach their triumphs, and what they are likely to do in the future as well. This chapter is meant to be an overview of global IT outsourcing landscape - if you want to, look at this as an introduction into where the world stands, so that you can gain a better understanding of where CEE stands in this respect. We’ll look at the most proliferous IT outsourcing companies, what makes them thrive, where they find their talent, how they do their marketing, and the kind of competition they have on the job market. 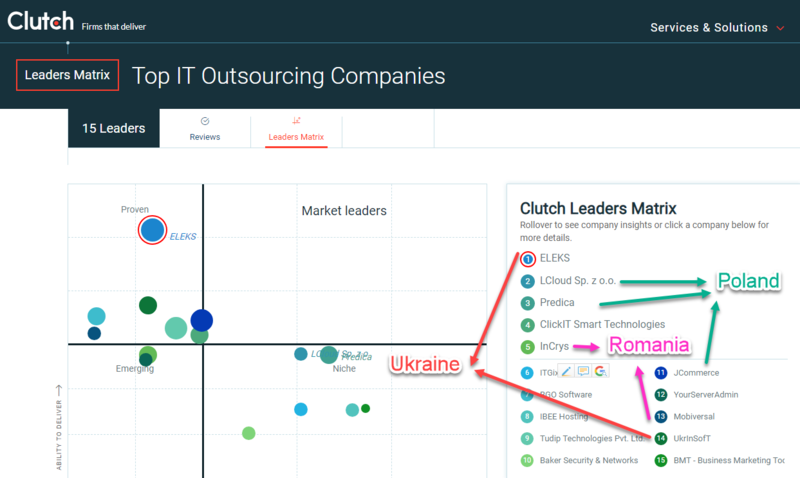 7 out of the first 15 IT outsourcing companies worldwide come from this trio: Ukraine, Poland, and Romania. Central East European’s involvement in the IT outsourcing sector at a global level is so strong that only six out of the aforementioned fifteen companies have no connection to CEE whatsoever. 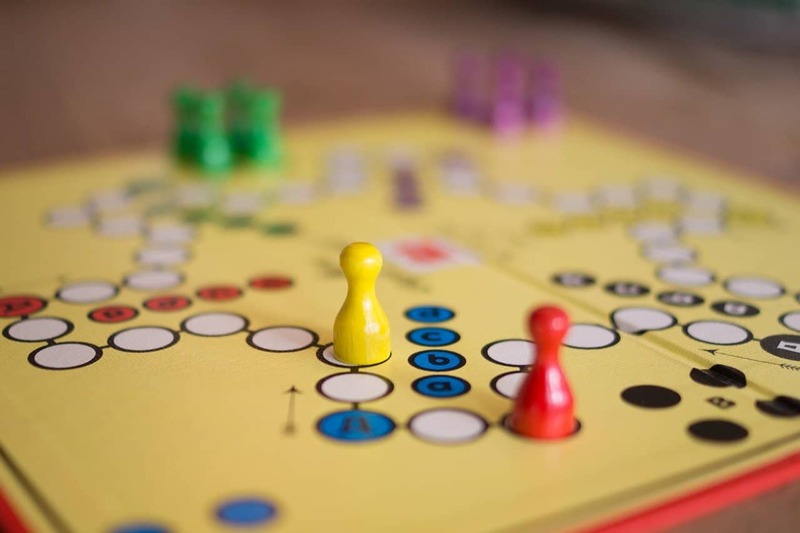 Before we dive into the CEE market itself, we would like to first take a look at what happens in three of the top 15 companies above in terms their approach to marketing (particularly inbound). Having landed in the top, it is quite clear that these IT outsourcing businesses are doing something right - and inbound marketing is most definitely among the set of things they have succeeded at. Website: Looking at their websites, one can easily notice that they aren’t very cutting-edge. 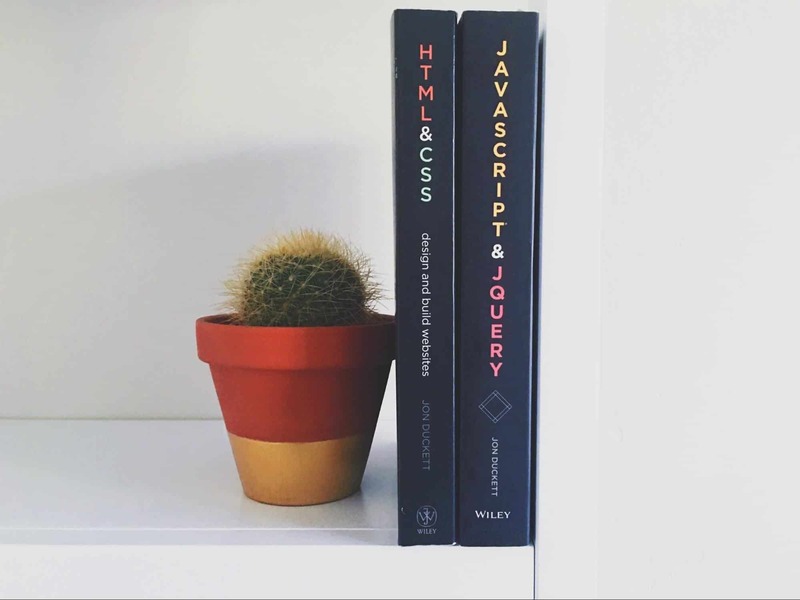 In fact, all three websites are pretty basic: they are well-organized and they look clean, but a clear focus on design branding isn’t noticeable. 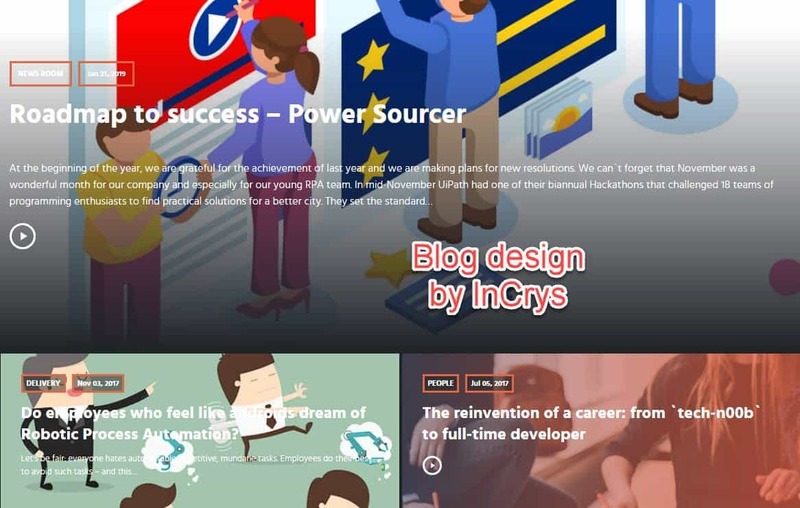 The blog design by InCrys stands out a bit. Content Marketing: All of the three companies have a pretty strong focus on content marketing. All of them have blogs, which are regularly updated. Some of them show some sort of interest in bringing forward long-form content as well (e.g. 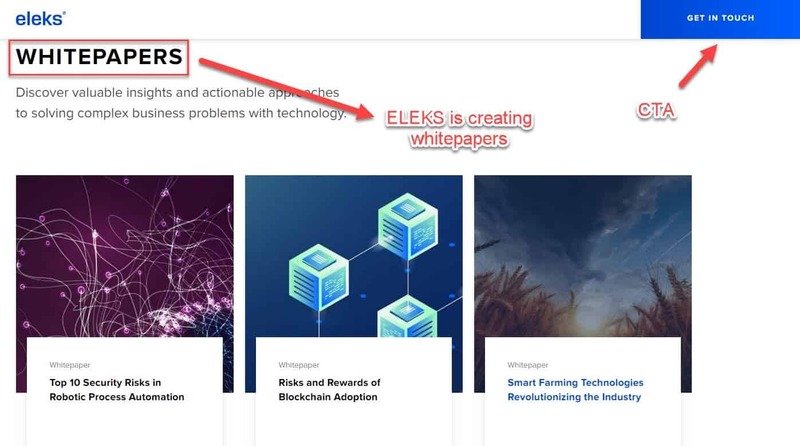 ELEKS has published some white paper guides, JCommerce and InCrys publish blog-style case studies). JCommerce has also experimented with webinars. 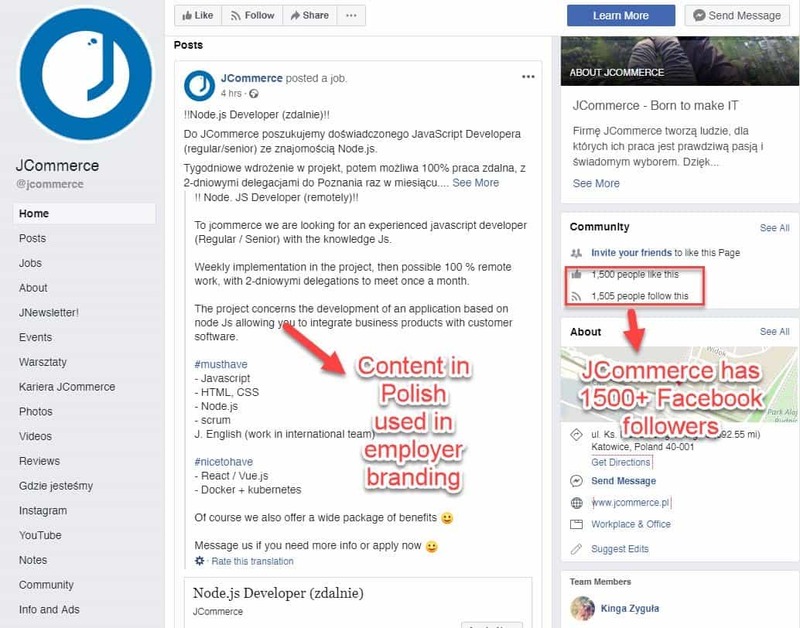 Social Media: In terms of Social Media, it can be said all of these companies focus a lot on engaging employees and potential employees via Facebook (especially), but also via LinkedIn as well. As you’d expect it, LinkedIn has, in all three cases, a more business-to-business approach to things (e.g. 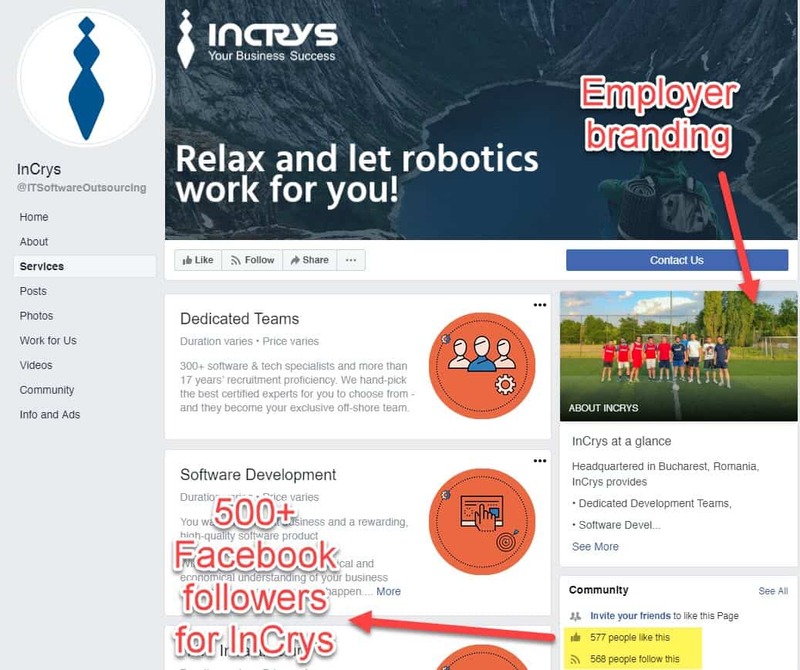 while pictures of company activities for employees are posted on Facebook, they do not go on LinkedIn too, unless they are related to personal development). 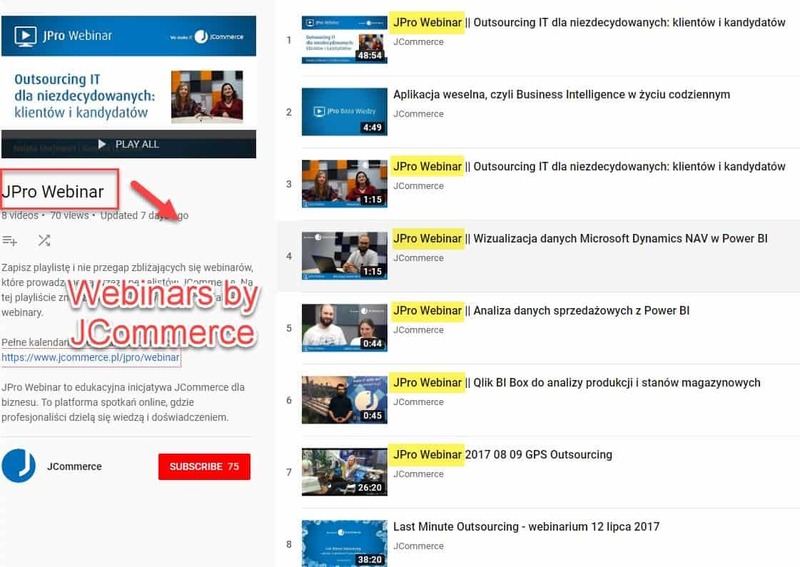 Video Marketing: JCommerce and ELEKS both have a long YouTube history. Content is updated regularly, with topics ranging from: events, tech stories, meet the team videos. 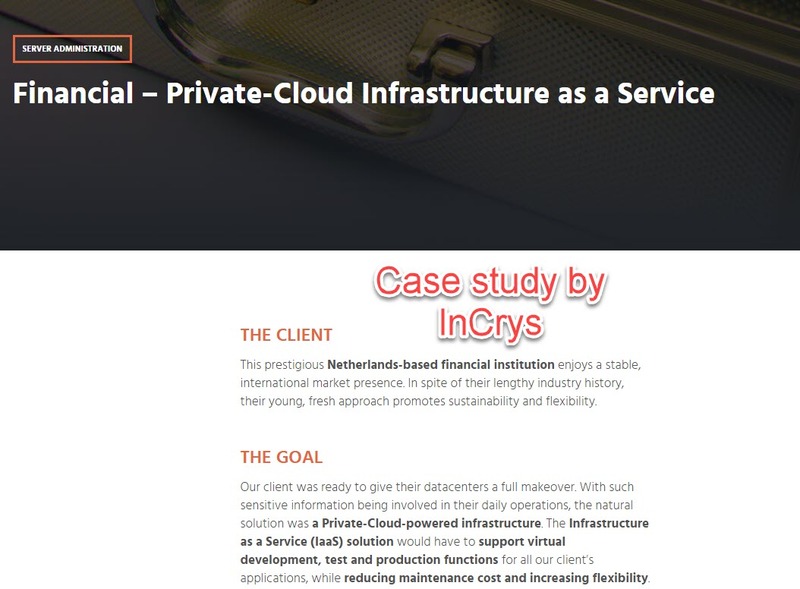 InCrys has posted its first Youtube video on 14th January. They’re a bit shy. All of these three companies are obviously involved in digital marketing efforts. While we cannot research their actual outbound marketing efforts, it is quite clear that they do invest in inbound marketing (and the most important sign of this is the fact that they are all involved in some sort of content marketing strategy). It is now an almost redundant fact that IT companies everywhere struggle to find and retain the best talent there is. In fact, in some parts of the Earth, there are a lot more IT jobs than actual professionals - making the race for talent an even fiercer and more competitive one. 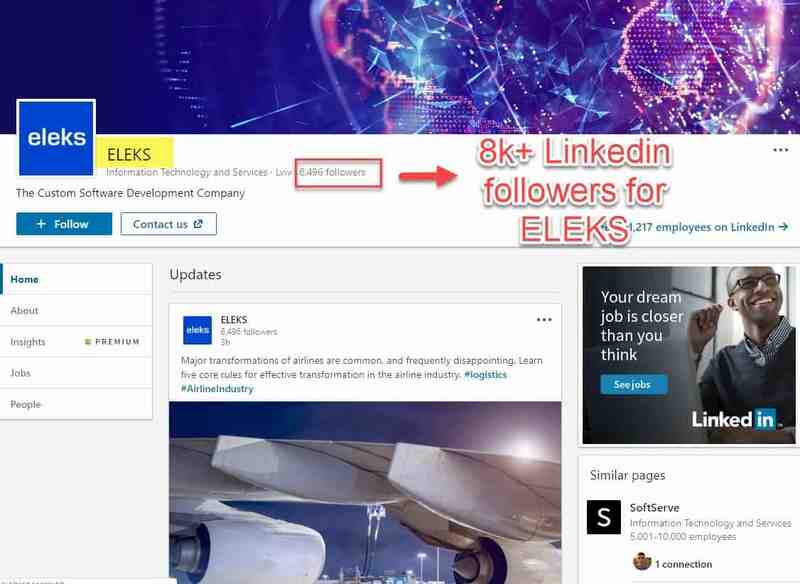 Following the example of the three companies we looked at for their inbound marketing, it can be said that their employer branding efforts are significant (the presence of a Facebook and Instagram profile for a B2B business is generally a sign that they want to attract and retain talent). More importantly, though, the numbers are quite revealing in this direction as well. ELEKS has a “Career” section on their site. At the moment of writing this guide, they are looking to hire all over their offices, from Ukraine to the US. They have more than 30 open positions for software developers, designers, QA specialists, business developers. 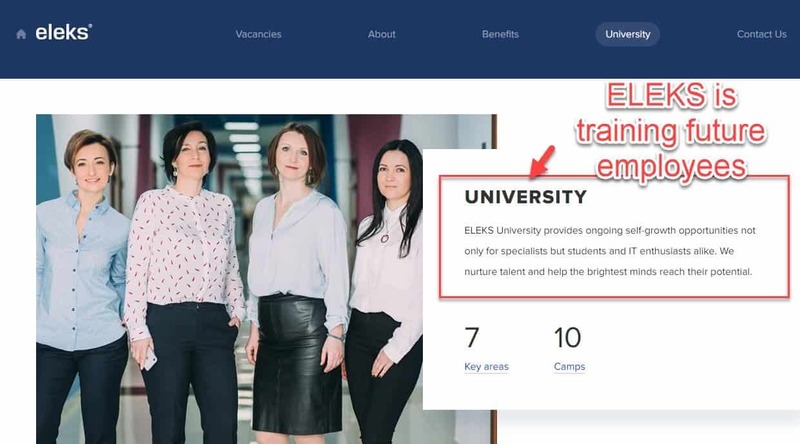 Because competition for talent is fierce in the field, ELEKS has a different approach too: how about training my future potential employees? So, they’re organizing camps for “self-growth” opportunities. JCommerce doesn’t seem to have a “Work with Us” or “Career” section on their website. But they’ve published jobs on their Linkedin profile. 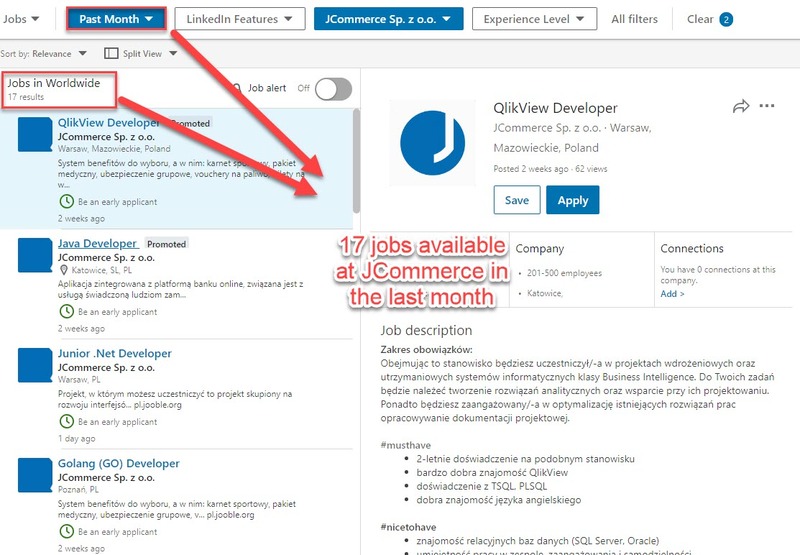 They seem in need of developers in most of their offices across Poland. 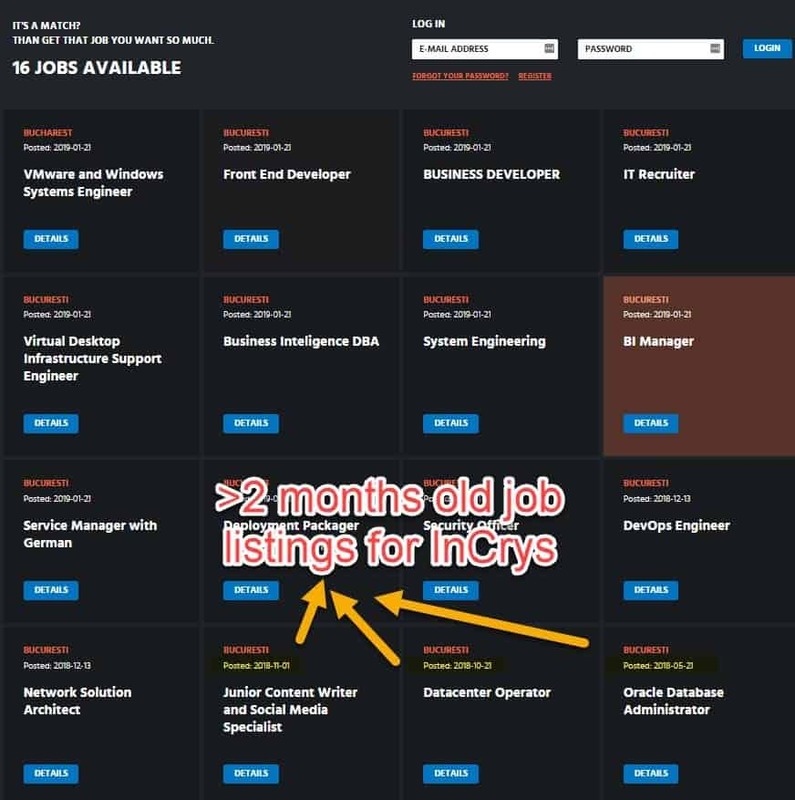 InCrys has a “Join the Team” website section. 16 jobs up for grabs. One of them is 7 months old! So much about finding the right talent. They want to expand their developer, BI, HR, marketing and support teams. Any big plans, guys? The global IT outsourcing landscape is bound to face challenges (such as politics, economics, legislation, cyber attacks, and workforce-related issues), but it is currently facing a great many opportunities as well: such as easier collaboration and communication, globalized teams, and access to information in the IT field. On the one hand, the internet has enabled people living on opposite sides of the world to communicate effectively. There are more project management, collaboration, and productivity tools than ever, helping IT teams located at huge distances from each other to seamlessly integrate their tasks with their clients’ business goals. Moreover, teams are more globalized than they have ever been - from the names of their positions to the way their companies are organized, everything is built to be internationalized (a Java Developer will be a Java Developer regardless of whether they live in Germany, Ukraine, or the Philippines, and they will abide to pretty much the same type of goals, KPIs, and company structure across all of the geographical locations). And even in the least developed educational systems around the world, people have gained access to information and training for the IT sector (if not through traditional education, then through extra-curricular courses and meetups taking place both online and offline, both paid and completely for free). The world of IT is exploding at the speed of broadband internet - but that doesn’t mean there aren’t challenges in this entire landscape. Truly innovative talent isn’t as easy to find as one might think. 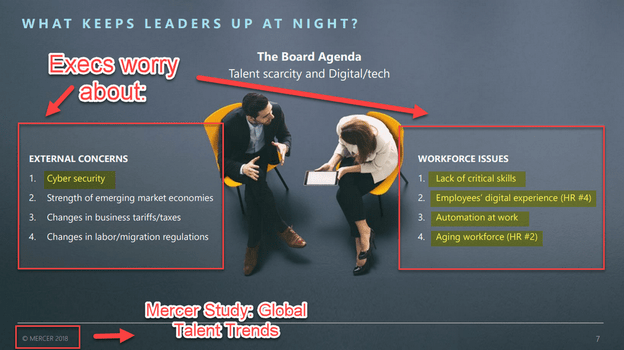 According to a Mercer study ran at the end of 2017, 100% of Board Directors thought there will be increased competition for talent in the IT industry - and they were right. The same Mercer study showed that the two major concerns leaders in the IT sectors had as they entered 2018 are either external (such as cyber attacks) or internal (lack of critical skills and even an aging workforce). As a result of this, increasing access to online learning was a primary change 40% of the businesses wanted to implement. Aside from talent, international politics and economics might be a challenge as well. Different countries have different legislation with regards to outsourcing business needs - and when the laws of one country make it difficult to collaborate externally, this can be an issue. We do not claim to be able to know the future - but, based on some trends, we’d assume that a lot of the current outsourcing businesses are growing out of their initial nature and pushing towards developing their own IT products. Until not very long ago, IT outsourcing mostly meant businesses were hiring offshore teams to run specific tasks, most of the times a lot cheaper than it would have been done in their home country - and most of the times for a lower quality as well. The nature of the economy took its course, though. IT Outsourcing businesses grew out of their “cheap labor” label and started to provide better services, working with teams that were better-trained. The next step in the IT Outsourcing evolution saga would be for these outsourcing businesses to take a spin and start creating their own IT products. It only makes sense: they already have the talent (and they are looking for more), they have plenty of experience on the market (most of the top IT Outsourcing companies have been on the market since the 90s), and their countries of residence are making it easier and easier for them to be more (with tax legislation to enable them to make more profit and generate more jobs). IT Outsourcing is changing at all levels - but it is important to know what is happening regardless of which side of the fence you might be on: the businesses who outsource their needs or the businesses providing IT outsourcing services. In the end, outsourcing has only brought the world closer together, offering umbrella values for people from varied corners of the Earth, offering work and opportunity, offering a chance for doing better for everyone. The following chapters will look at how Eastern Europe (specifically how Central Eastern Europe countries such as Poland, Ukraine, and Romania) is currently doing its work - and more importantly, where it is likely to head in the next few years.